Subatomic Sound System brings NYC’s Dub Champions Festival to Europe for the first time! 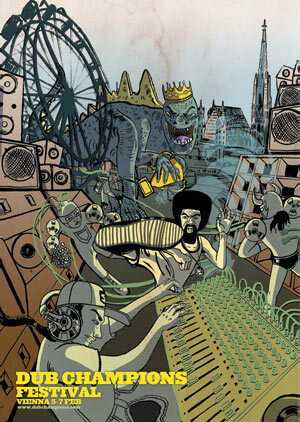 February 5-7, 2013 in Vienna, Austria featuring Lee Scratch Perry (official) & Dubblestandart, Adrian Sherwood, STEREOTYP, Jahtari’s DISRUPT, and many more! Performances and workshops in person and on the web. 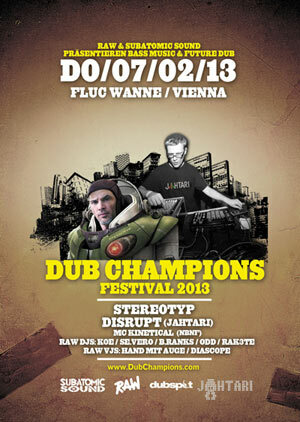 On Feb 7, Vienna’s RAW party team up with NYC fest creators Subatomic Sound to present the Dub Champions Festival closing night of future dub and bass music with STEREOTYP , Jahtari’s DISRUPT, and many more at Fluc Wanne!